For a convenient and luxurious base camp in the Cayo District, this family-friendly resort offers everything travelers need to make adventure easy. Travelers who want to experience life in a Belizean town get the best of both world’s in San Ignacio, Cayo’s cultural and economic hub: it maintains enough tourism to be an excellent host, but retains its rustic, local flavor. With raved-about restaurants, museums, and conservation centers – including the Green Iguana Project, where kids can play with the handsome lizards – a day in town will be an enriching cultural experience. The Cayo District’s true blessing, of course, is its jungle. The lush rainforests around the Macal River are perfect for seeing wildlife like exotic birds and monkeys up close, ziplining, horseback riding, and orchid-spotting. The Macal itself boasts some of the finest tubing and canoeing in the country. In the heart of town is the San Ignacio Resort, a gorgeous and well-manicured hotel that boasts the “only jungle in town,” its 17-acre (8-ha) private estate. The recently remodeled main building includes a lavish Mediterranean-style lobby complete with marble columns and floors. A winding staircase made of exotic native woods up leads guests to the luxe master suites. With a shaded dining patio overlooking the sparkling pool, this may be San Ignacio at its most glamorous. A quick stroll from the hotel brings guests to downtown San Ignacio for food, music, and cultural explorations, and another short walk leads into an actual Mayan site, the ancient temple ruins of Cahal Pach. On the property, stroll past the tennis court (lit up at night for after-dark matches) to the medicinal jungle trail, where the hotel runs their own iguana sanctuary. Guest rooms at the resort are well appointed and offer every amenity: Wi-Fi, cable TV, air conditioning, ceiling fans, hairdryers, and in-room safety deposit boxes. Private bathrooms are spacious with separate baths and walk-in showers. All furnishings are made with sustainably sourced Belizean hardwoods, including exotic mahogany. All rooms have some type of private patio or balcony, either looking out onto the garden or onto the jungle. The tropical flowers right outside of the guest room windows attract birds such as Belize’s national avian, the keel-billed toucan. For those seeking the finer things, the spa suite includes plush bathrobes and a private massage treatment area, where staff masseurs offer their services. The master suite, with its canopy bed, breathtaking views, and local artwork, looks like a honeymooner’s dream. An on-site restaurant called the Running W Steakhouse provides meals all day. The air conditioned, open-plan dining hall boasts views of the whole property, as well as gourmet fare including some Lebanese specialties from the owner’s family. The lobby bar serves cocktails outside in a Baroque-themed setting, and hosts live music on the weekends. The hotel spa is thoughtfully decorated for ultimate relaxation, and massage tables come with a view of the trees and flowers right outside the windows. From aromatherapy and Swedish massage to avocado and honey facials, being in the jungle never felt so pampering. "Excellent Hotel! The staff was so accommodating and helpful. The restaurant was absolutely wonderful and delicious." Excellent Hotel! The staff was so accommodating and helpful. The restaurant was absolutely wonderful and delicious. We switched to this hotel from another place we were originally booked and thank God we did. This place was truly incredible. It was a hefty price tag but worth it to me (after having stayed a in a hell hotel). They also have the green iguana conservation here which was definitely worth seeing. We thoroughly enjoyed the staff. Very helpful and accommodating. The room we had was way too small for 2 adults and 3 kids. The staff was very nice and moved us after 1 night to the family room for the remaining 3 nights. 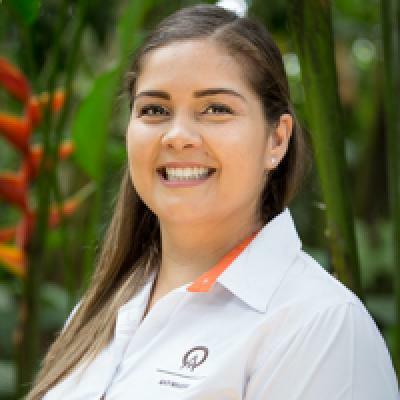 The staff is amazing at San Ignacio resort, super friendly and helpful. We left some items in the room and they mailed these to the USA after we contacted them.